BETHEL, Alaska (AP) — A city in southwest Alaska has hosted a hero’s welcome for the winner of the 2019 Iditarod Trail Sled Dog Race. Champion musher Pete Kaiser was met Monday night by a crowd at the airport in his hometown of Bethel, KYUK reported . 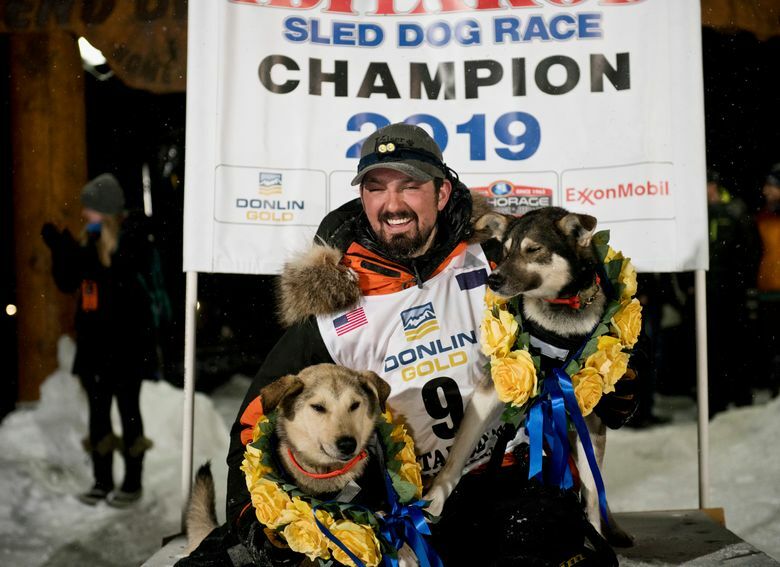 The 31-year-old won the 1,000-mile (1,600-kilometer) sled dog race across Alaska’s wilderness when he and his team of dogs crossed the finish line in Nome on March 13 after beating back a challenge from defending champion Joar Ulsom of Norway. People filled the small Alaska Airlines terminal before Kaiser arrived. They carried signs and chanted Kaiser’s name, the station reported. Bethel has supported Kaiser since his childhood, when he raced in local fun runs, through his four victories in the Kuskokwim 300 race, KYUK reported. Kaiser entered the terminal holding his daughter and shook hands and shared high-fives with people in the crowd, according to the station. As he departed, the station said Kaiser was escorted by two firetrucks with lights flashing and a parade of cars. Bethel Mayor Fred Watson plans to propose March 13 as a city holiday in honor of Kaiser’s victory, according to KYUK.